You can choose when loyalty points are rewarded to customers in the Order Rewarding section of your app Settings. Use this guide to identify the possible reasons customers may not be earning their loyalty points and how to fix this. 📝 Note: By default, your members should earn 1 point for every $1 they spend. You can change this under your Earning Points settings. 1. Members will not earn points for orders when your loyalty program is Paused. While your program is paused, your members won't earn points. Your loyalty program will also not be visible to customers, and new customers will not be added to your member database. If your program is paused, you can activate it at any time by clicking the Activate Program button. 2. Members will not earn points for orders if the payment status of their order does not match your order rewarding settings. 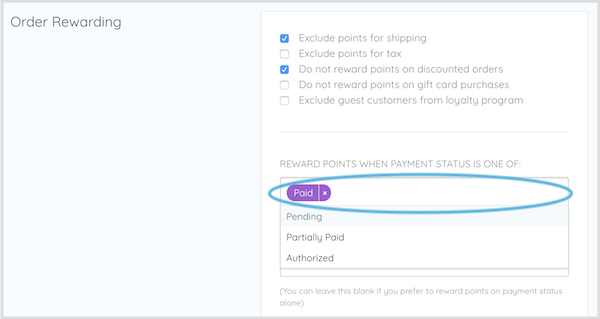 Under the Reward Points When Payment Status Is One Of field in your loyalty app, you can see the payment status that an order must be to reward loyalty points. If you use Shopify, the payment status of an order can be found in your Shopify admin, under Orders. 📝 Note: You can choose more than one payment status to reward points. Your members will only be rewarded loyalty points for their purchase once. 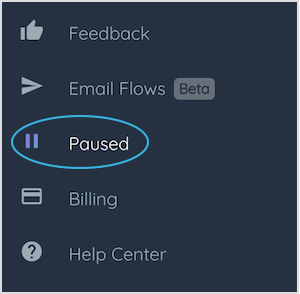 If you use BigCommerce, the payment status of an order can be found in your BigCommerce admin, under View Orders. 3. Members will not earn points for orders if the fulfillment status of their order does not match your order rewarding settings. 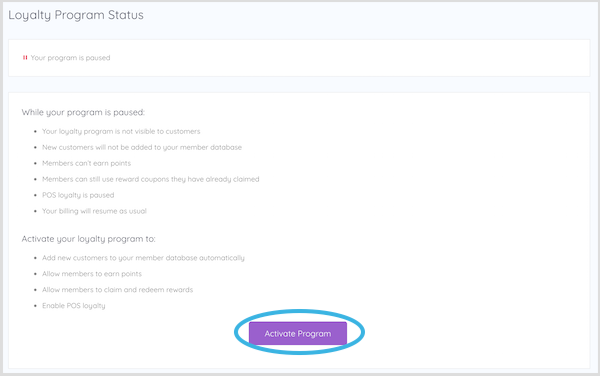 Under the And When Fulfillment Status Is One Of field in your loyalty app, you can see the fulfillment status that an order must be to reward loyalty points. It is blank by default and can be changed to Fulfilled or Partially Fulfilled. To change, go to your Loyalty Settings > Order Rewarding. This field is supplemental to 'Reward Points When Payment Status Is One Of' to add extra protection to you from customers who may refund pending orders. It is an "AND" condition and is optional. 📝 Note: If you would like members to earn loyalty points immediately after they make a purchase, leave this field empty. This will reward points based on payment status alone. 4. Members will not earn points for discounted orders when Do not reward points on discounted orders is checked. By default, this option is unchecked and your members will earn points on orders that have discounts associated with them. To update this, go to your Loyalty Settings > Order Rewarding. 5. Members will not earn points for orders that are placed with a different or misspelled email from what they initially signed up with. For example, an active member with existing points places an order with the email domain misspelled (@gmail.com vs @gmail.co). This new order and the loyalty points that go with it wont get added to the member's existing account. To check if this is indeed the case, search for the customer email address under Members. 6. When processing orders through Point of Sale, members will not earn points for POS orders that are not properly assigned to them. 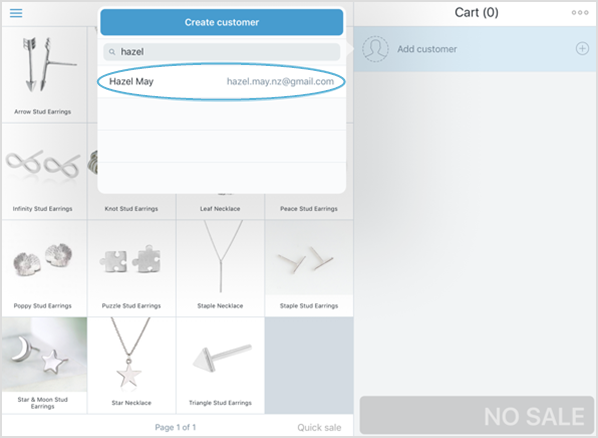 📝 Note: If the customer isn't yet part of your Loyalty program, click Create Customer and add their First Name, Last Name and Email Address to the sale and they will be automatically added to your program. 7. Customers will not earn points for orders if they are excluded from the loyalty program. 8. Members will not earn points for purchasing products that you have blacklisted from your loyalty program. Can points be adjusted manually? Yes, they can. Follow these easy steps to add to or subtract from your members' points manually. Yes, points can be canceled. By default, your members' loyalty points are canceled when their payment status is set as Refunded. Points do not expire. However, you can manually adjust them if needed.